Store Hours: Tues - Fri 12:00 p.m. - 6:30 p.m., Sat 10 a.m. - 6:30 p.m. Since the closing of the only library in Oak Park in the 1970’s, it became the mission of St. HOPE founder, Kevin Johnson (former Sacramento Mayor and an NBA player), to ensure that the students and the community had access to books. 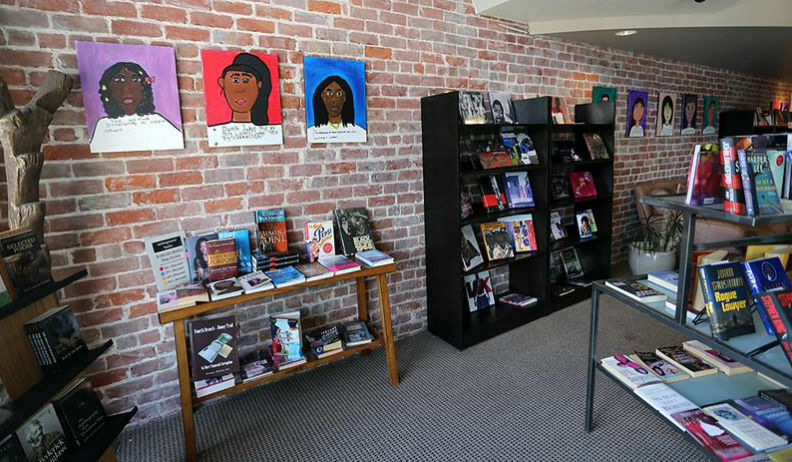 As part of the larger 40 Acres Cultural Center, Underground Books is a nonprofit under St. HOPE and has become a gathering place for neighborhood residents. Underground Books hosts book signings by local and national authors, lectures, poetry events, children’s story time, radio shows and much more! Managed and operated by Georgia “Mother Rose” West (pictured in the video above), the bookstore has proudly become a well-known pillar in the Oak Park community. While our goal is to provide you with accurate information, it is possible some of the information here is out of date or incorrect. If you are aware of any errors please send them to troy@aalbc.com or enter any inaccuracies or missing stores in the comments section below. Please contact the book store directly to confirm any information provided here. Underground Books’s information was last updated, by Troy on, Feb 02, 2017.